And just like that, the travels are back! I must say I cannot believe I waited this long, though it’s been so nice to be home, too. I’ve always been told that regular breaks are necessary to avoid getting burnt out – I couldn’t agree more so yes I think I am ready for my travel break now! For me, traveling has such a unique way of sparking creativity while it stokes curiosity and rediscovery. Did I also mention a great way to experience new food? Since my previous post about my upcoming travel plans, I actually had an amazing opportunity pop up beforehand! Funny thing is it’s also in Italy…Rome, actually. 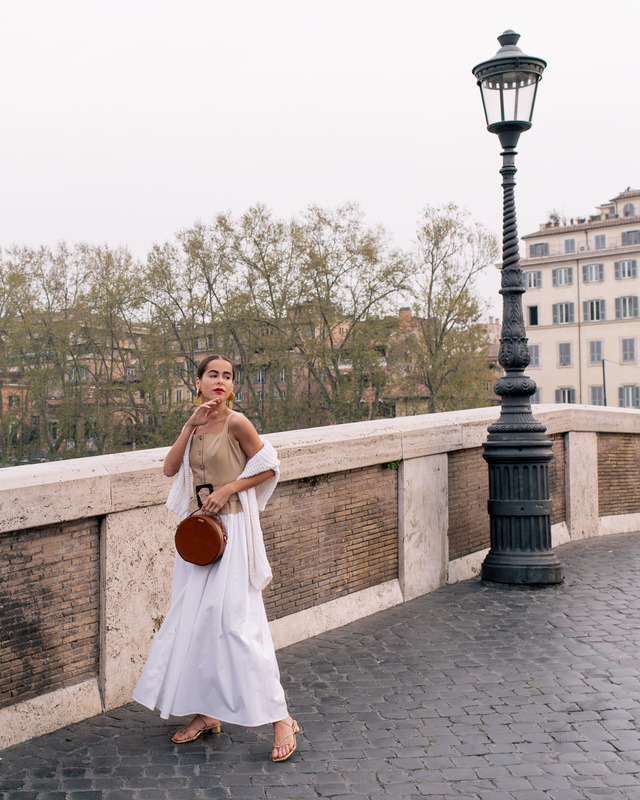 Insert authentic Roman food into the itinerary immersed in arts, family and traditions in the modern city – talk about swoons. And because this all happened within a week’s notice, I had to quickly shift things around then, plan and pack for this incredible trip to a country I have never been to (and will now be going back to in April!). I knew one thing I was definitely packing: my Brahmin. The Lane Crossbody to be exact. Brahmin always knows how to add versatility while maintaining a luxury, vintage touch. As much I loved my others ones, I couldn’t help but leave Pipp at home and bring Lane (my newest) on the trip. Why? Well, when in Rome, I was told walking is the best form of transportation and a great way to burn off calories from the delicious Roman cuisine (pasta, pizza, gelatti…and the list goes on), so I thought this round shape, Whiskey color Italian leather and adjustable strap was the perfect addition to carry all the necessities. Plus, its neutral tone blends so well with my outfits – love. Then whenever needed, I can easily carry it in hand while strolling through town or attach the straps and wear it over my shoulder and across the body when cruising around on the Vespa. As I’ve hinted, this bag comes close to perfection. Now, off I go, as it’s time for another Italian cappuccino before our next stop – prendiamo un caffe! Everything is so picturesque there!